Computer security expert Angela Bennet discovers a computer espionage plot and must fight for her life and identity by revealing it. 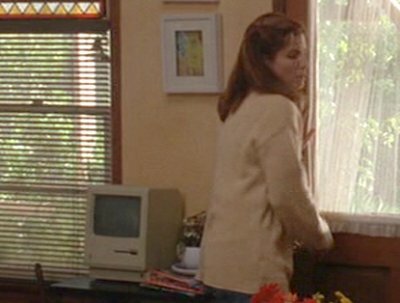 The old Mac lies, apparently discarded, in Angela's house. 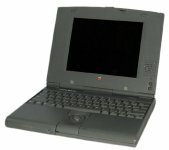 Angela's laptop, and the laptop lent to her by her ex-lover are Powerbook Duos. 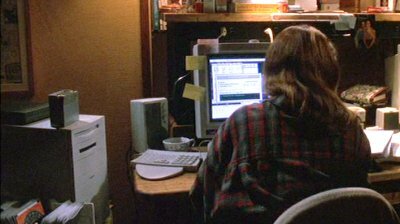 This machine appears to be Angela's primary workstation.